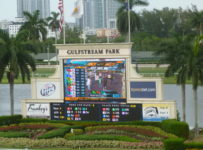 Saturday, June 6 — In addition to its live racing that begins at 12:30 p.m. today, Gulfstream Park will have one of its biggest simulcast days of the year with the Belmont Stakes and with a guaranteed full payout of the pool on the 10-cent only Rainbow Six at Pimlico Race Course. 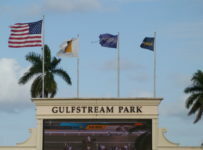 Tampa Bay Downs will have simulcasting of all of today’s races at Gulfstream, Belmont and Pimlico. 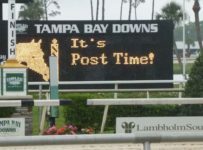 Tampa Bay’s next live race day will be June 30, followed by July 1 as it holds its annual two-day Summer Festival of Racing. 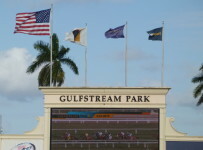 Today, both Florida tracks will have their regular afternoon and evening simulcast menus of tracks. 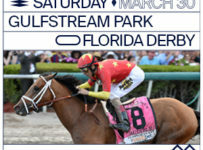 Both will have events and giveaways related to the Belmont Stakes where American Pharoah will be seeking to become the first Triple Crown winner since Affirmed in 1978. Scheduled post time for the Belmont Stakes is 6:50 p.m. It is the 11th race at Belmont Park. Belmont will have 13 races, starting at 11:35 a.m. 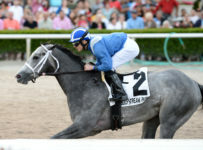 The Belmont Stakes is one of six Grade One stakes on the card. 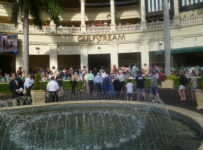 At Gulfstream, the Silks simulcast area on the first floor and the Ten Palms restaurant on the second floor will open at 10:30 a.m. 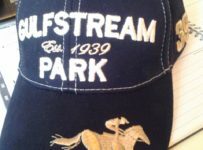 Fans who purchase seats in the grandstand, Silks, Ten Palms and the Fountain Club will receive an Official Belmont Stakes cap (noon to 4 p.m. while supplies last). A special Belmont Breeze cocktail in a collectible glass will be available for $5. 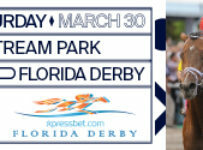 Ten Palms restaurant will offer a Triple Crown buffet for $59.99, while the Fountain Club overlooking the Walking Ring will offer a menu for $29.99. 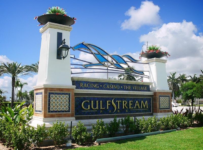 Gulfstream Park Advantage members will be eligible for a drawing to spin the wheel to win a bet on the Belmont or official Belmont merchandise. Twenty names will be drawn at 5 p.m., June 6. Fans must be present to win. 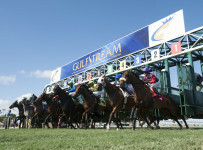 Tampa Bay Downs will have a buffet from 11 a.m. to 6 p.m. in the clubhouse on its second floor. The price at the door is $40.95 per person. 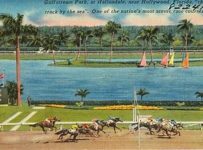 It includes the buffet, tax, gratuity, valet parking, admission, an official Belmont Park program and an official Belmont Park glass. Saturday is closing day of Pimlico’s meet. Thus it will have a mandatory payout on its 10-cent only Rainbow Six. There is a carryover of $275,321. Pimlico officials expect there could be more than $700,000 bet on the Rainbow Six today–swelling the pool to more than $1 million. 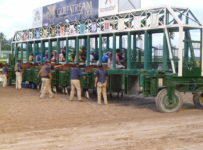 The Rainbow Six will be on the sixth through 11th races. 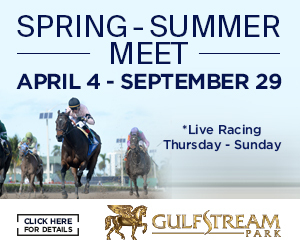 Scheduled post time for the sixth race is 3:32 p.m.